Up for sale is a .5 KVA Dry Transformer 120/240-120 By Shape Magnetronics ELT-0500. Cavlon Item # 1508. Up for sale is a .75KVA ACME Transformer T-2-53009 120x240 to 12x24. Cavlon Item # 1916. Raw weight 18.5 lbs. and dimensions 8.5x5x4". Up for sale is a 0 To 1" WC PhotoHelic Gauge In Hoffman Enclosure . Cavlon Item # 1860. 0 To 60 And 0 To 160 Pressure Gauges. 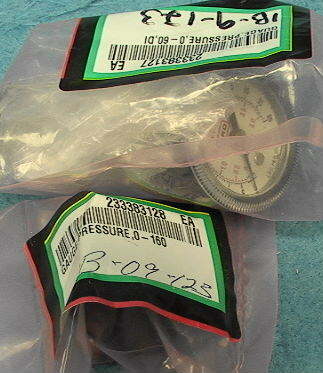 Up for sale is a set of 0 To 60 And 0 To 160 Pressure Gauges. Cavlon Item # 2320. 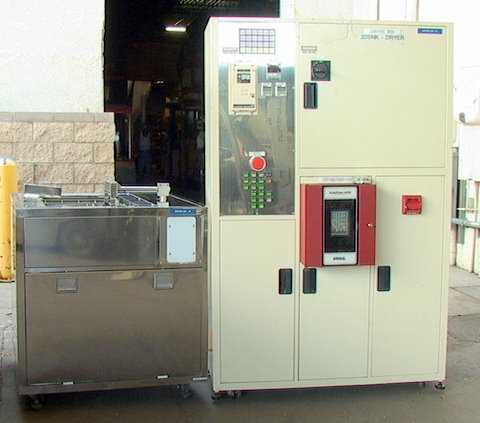 Dimensions: 4"x3"x3"
Up for sale is a 0.5 liter Per Minute MFM/C Mass Flow Meter/Controller N2, Ar, O2, H2, He. Cavlon Item # 2037. Dimensions: 5"x1"x5"